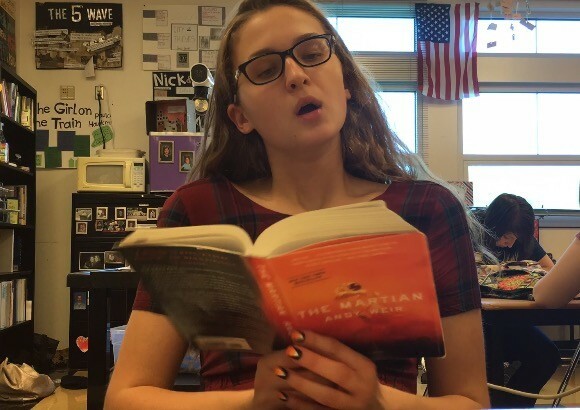 Above is a photo of Maddie practicing her reading. She is ALWAYS bettering herself as a speaker, because for every new performance, her goal is to better than the last. Every time I wonder, wow, how could she possibly top that? But, every time she tops it. It brings me to tears, and I realize, that she has no limit to her skills.